It Has Anti-Aging Effect Because Of Containing Antioxidant Properties. MANAGE YOUR BODY WEIGHT NOW with Neuherbs Green Coffee Beans & POWDER. Verdure brings to you 100% Arabica A beans/ powder rich in Chlorogenic acid to help you reach your weight loss goals faster. Neuherbs Green Coffee Beans & Powder are 100% natural & vegetarian. The high Chlorogenic content lowers sugar absorption in your body & thus keeps your weight in bay. This also makes it an idea food supplement for those looking for maintaining sugar levels. 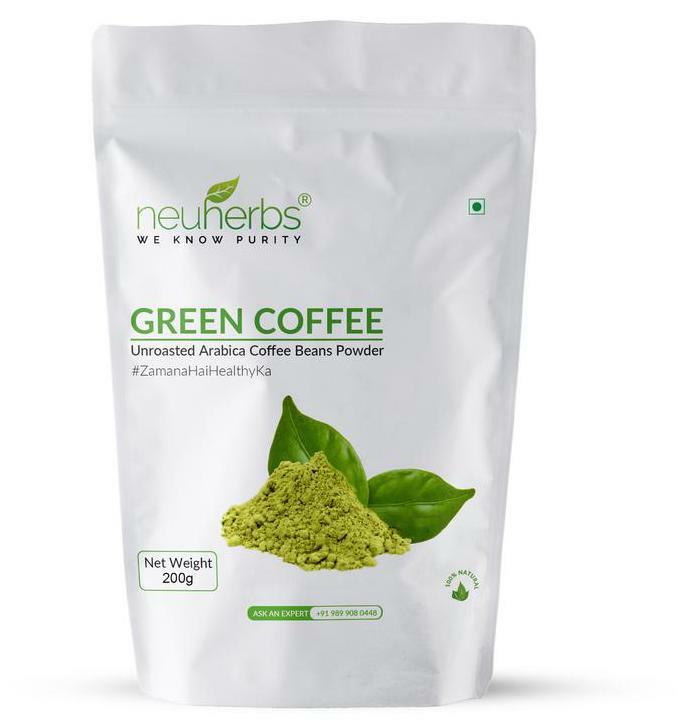 Neuherbs Green Coffee Beans Powder works by blocking the absorption of fat so that your body is forced to utilize what it has already stored for energy and the main active ingredient is Chlorogenic acid in coffee beans, which reduces the absorption of simple carbohydrates from the digestive tract. Enjoy the Healthy drink with full confidence.